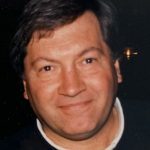 J. Michael Rubenacker, 69, of Champaign died Saturday, January 26, 2019 at Northwestern Memorial Hospital, Chicago. A funeral mass will be held at 10:30 a.m. Saturday, Feb. 2, 2019 at St. Matthew Catholic Church, Champaign. Burial will be in Prairie View Cemetery, Savoy. Visitation will be held from 5:00 p.m. – 7:00 p.m. Friday at Morgan Memorial Home, Savoy. Mike was born on June 17, 1949 in Urbana, the son of Jerome and Dolores “Dee” Butler Rubenacker. He married Judy Deutsch on September 12, 1981, she survives. Also surviving are one son; Michael Jerome Rubenacker of Chicago, two daughters; Courtney (Nate) Ryle of Chicago, Kara (Daniel) Treiber of Charlotte, North Carolina, two grandsons; Nolan and Cooper Ryle, and three sisters; Kathy O’Neill of Wyoming, Michigan, Chris Rubenacker of St. Louis, Missouri and Kim McBride of Indianapolis, Indiana. He was a member of St. Matthew Catholic Church, Champaign. Mike was a pilot and loved to golf and enjoyed sports. His greatest joy was spending time with his family. I am saddened to hear of your lost of your husband. I am thinking of you and your family. Please accept my condolences. Judy, I am so sorry to hear of your loss and that your family is going through this. My thoughts are certainly with you. I am so sorry for your loss...I wanted to let you know that I also had such great conversations while working out at the Y---always quick to ask about our family...know the Strauser family is sending our sincere thoughts and hope you can at this time know others are remembering you---and may your memories carry you at this tough time. I only knew Mike very briefly in 1963 during the Babe Ruth baseball season. Mike played for a team from Champaign, I for an Urbana team. We became friends somehow during a practice for prospective All-Stars. I always remembered Mike for his kindness, and instant friendship. After 1963, we never crossed paths, much to my dismay. But, I always remembered Mike and a few others from that era of local baseball. I know Mike will be missed. But, I am certain he left a wonderful impression on everyone he met and knew throughout his life. My condolences to his family and friends. Will miss my good friend and all the times we spent playing and competing in the many sports venues. Love you Mike! !